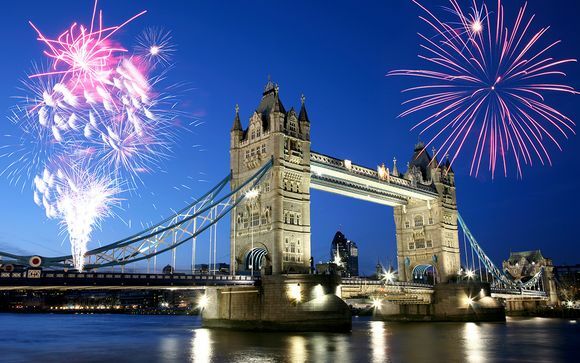 Enjoy New Year's Eve in the capital with this fantastic 3 night stay offer. The upmarket Royal Borough location and excellent transport links make this the perfect choice for a mix of relaxation and sightseeing in the capital. Explore the world class dining scene, historic landmarks, and designer shopping in London - it's all on your doorstep! Situated in a quiet residential corner, just minutes from High Street Kensington, this hotel is perfectly situated for guests wishing to visit some of the British capital's greatest attractions. This excellently located hotel offers excellent customer service, comfortable guest rooms, bar and restaurants. On-site amenities include a fitness centre, high speed wireless internet and room service. Guests can enjoy an authentic Oriental meal at Bugis Street or sample British and European cuisine at The Brasserie Restaurant and Bar. 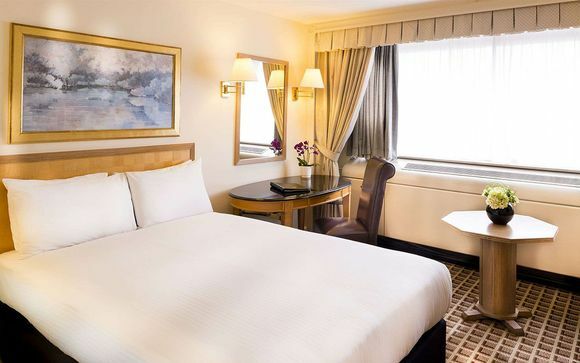 These well equipped and comfortable rooms will be your restful refuge after a busy day sightseeing in the capital. Amenities include: Tea and coffee making facilities, radio and alarm, hairdryer, mini fridge (chargeable and stocked on request), iron and ironing board, direct dial telephone. Bugis Street, named after the legendary seafaring merchants from the Island of Sulawesi, was once one of the more notorious areas of Singapore. Recently, it has been transformed and now boasts a bustling street life with boutiques, market stalls and bars and restaurants. Bugis Street offers an extensive à la carte menu, including house speciality dishes such as Mee Goreng, Nasi Goreng, stir-fried fish fillets with black pepper sauce and Singapore Laksa. The wine list and dessert menus offer something for everyone and will satisfy all budgets. Savour modern British and European cuisine at this fine dining restaurant. With a wide selection from the a la carte menu, dessert menu, and wine list, there is something to satisfy everyone. Relax and catch up with family or friends, watch sport or just unwind, in The Brasserie restaurant and bar, at the Copthorne Tara Hotel London Kensington. Here you can enjoy a memorable treat at any time, as The Brasserie offers a great selection of delicious cocktails and Champagne. The bar menu offers a range of different freshly made dishes, from sandwiches, salads and light bites to main dishes and delightful desserts. West8 cocktail lounge & bar offers a relaxed atmosphere both indoors and outdoors.A perfect spot to catch up with friends andfamily or just to sit back and relax. Here you can enjoy delicious authentic Arabic tea and coffee, some light snacks, appetizers and a great selection of cocktails and champagne. This hotel has many different transport links nearby, including High Street Kensington underground station, which is 3 minutes away. Earl's Court underground is 15 minutes away. London Heathrow airport is 30 minutes drive away. London Gatwick airport is 50 minutes drive away. Please note this offer is non refundable.